Our Babies Room cares for babies from 3 months, with a staffing ratio of 1 Educator member for every 4 babies. 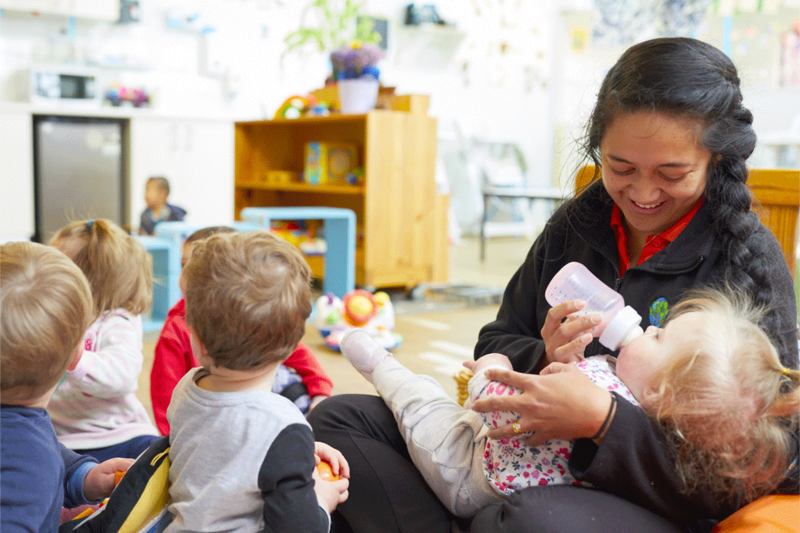 Our Educators ensure each baby feels safe, secure and engaged in their environment . Educators work in partnership with families to ensure consistency in your child’s daily routine between the home and the centre. Individual Daily Information books are maintained for each child documenting your child’s routines within the centre for your reference. Throughout the day, Educators implement a daily educational program based on the needs and interest of the children to further enhance their developmental skills. Nappies and cow’s milk are provided and Daily Information Books are kept for each child to inform parents of all of their child’s sleeps, bottles, food consumed and nappy changes.